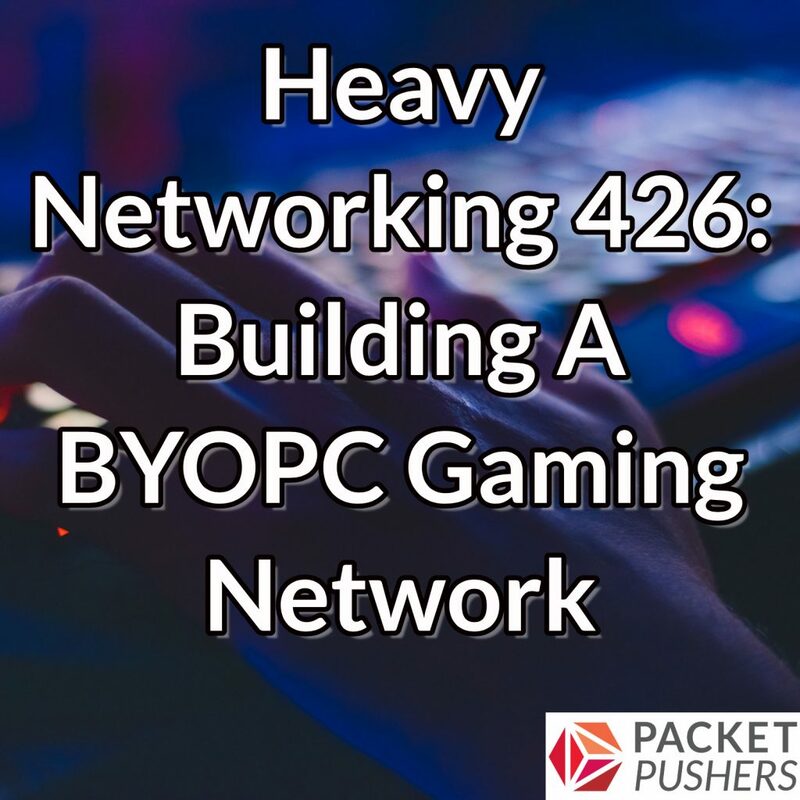 Today’s Heavy Networking episode dives into gaming networks. Our guest is Tim Raphael. He volunteers for Red Flag LAN Fest(Rflan), a non-profit that runs Bring Your Own PC (BYOPC) gaming events. Players show up with a computer, and Tim and his team provide the desk, chair, power and network. It’s like your college LAN parties of old, but way bigger. The event has hosted up to 800 to 900 people at a single event. Tim and Ethan discuss how Rflan builds networks for these events and why automation is essential to make it feasible. They dive into details on the core network gear, what they monitor during games (capacity, link quality, uptime, service monitoring, and more) and how they troubleshoot. In his day job, Tim is a peering engineer at the Internet Association of Australia. Today’s episode is brought to you in part by ExtraHop. ExtraHop is the enterprise cyber analytics company delivering performance and security from the inside out. Visit extrahop.com/packetpushers for an interactive demo to find out more.